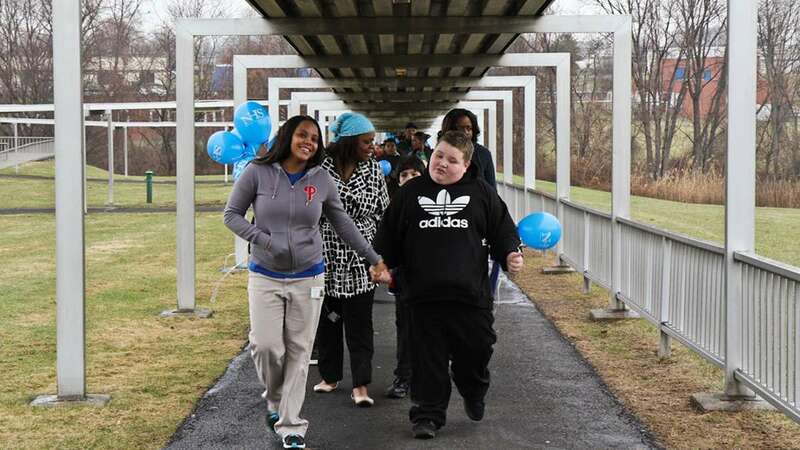 The NHS School Philadelphia hosted a walk at its Woodhaven campus Wednesday to celebrate World Autism Awareness Day. 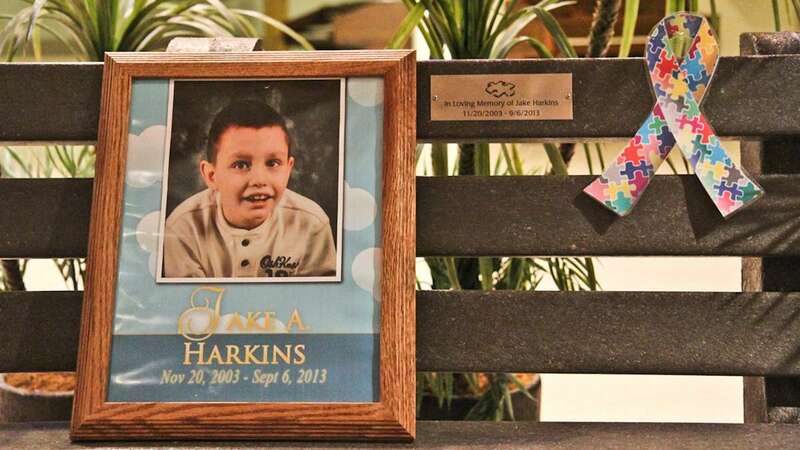 The school honored Jake Harkins, a 9-year-old student with autism who died tragically last September. 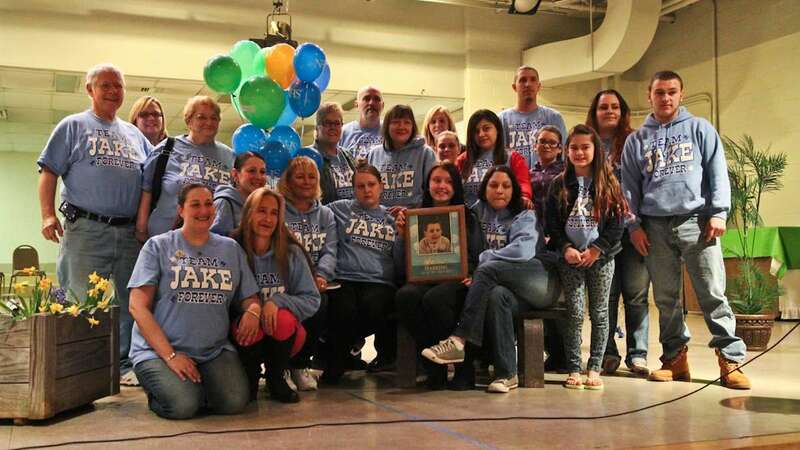 A bench with a plaque remembering Jake was unveiled at the walk and will be placed near the playground at the school. 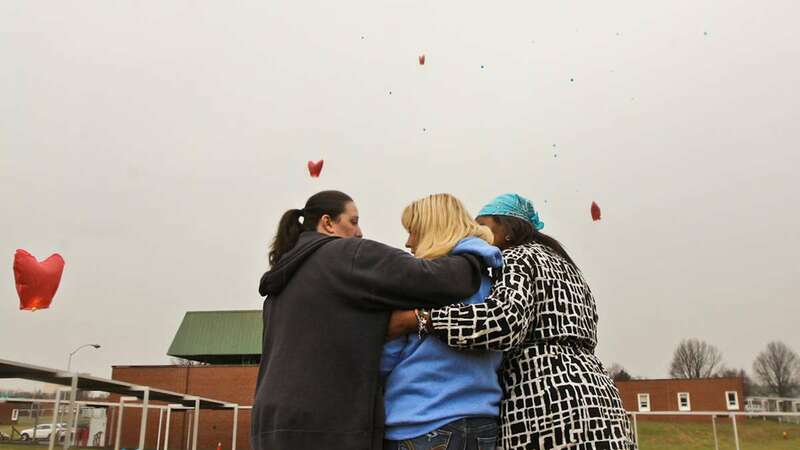 Dorothy Eichler, an elementary school teacher at NHS, remembered how Harkins had loved to be outside on the playground. Eichler hugged Harkins’ mother, Jessica, as she recalled trying to find an adequate school for her son, many where she saw students with autism sitting stationary with their hands folded on their desks. 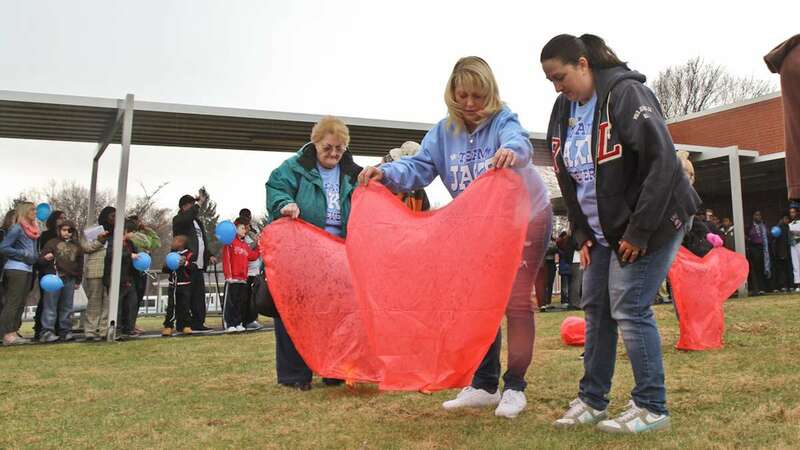 At NHS, a school that serves children with autism between the ages of 5 and 21, Harkins said she was glad to see that children were encouraged to interact and move around. 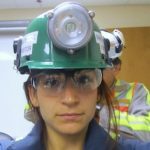 “I felt like I was walking into my home,” she said. “He let go of my hand and followed all the other kids.” Harkins added that the school community members were “crusaders” for her son and thanked the staff for their continuing support. 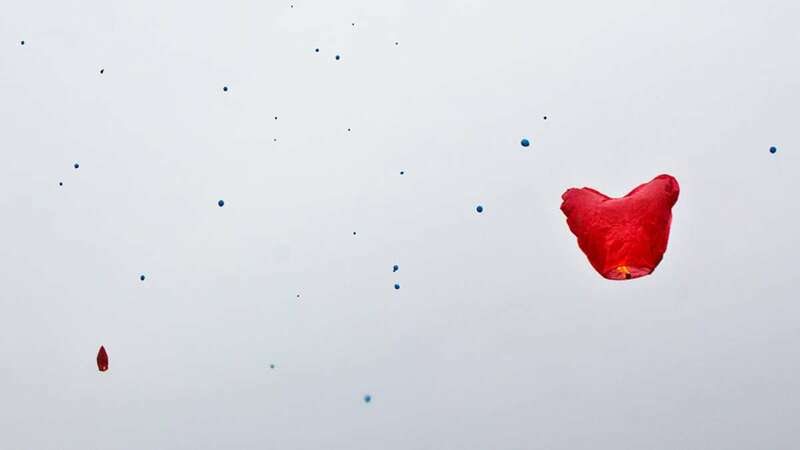 As supporters, community members and students walked around the campus in the drizzling rain, friends and family members wearing “Team Jake Forever” sweatshirts released heart shape paper lanterns and blue balloons into the sky.